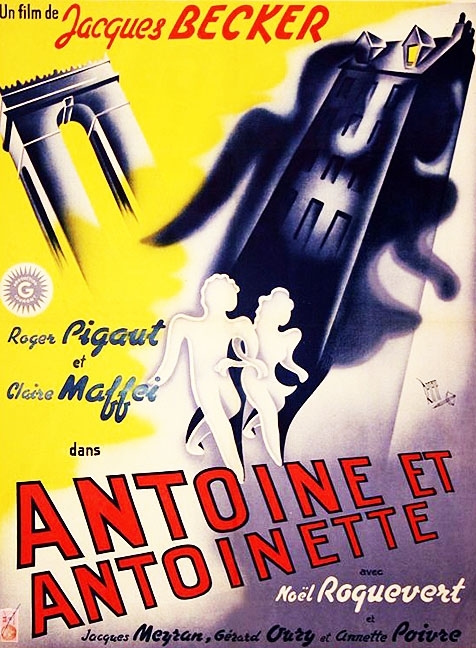 Jacques Becker's Antoine et Antoinette bears echoes of the early-talkie Rene Clair classic Le Million. Roger Pigaut plays Antoine, a foreman in a bookbinding factory, while Claire Maffei portrays his salesgirl wife Antoinette. The story gets under way when a valuable lottery ticket is lost, sending hero and heroine into a tizzy. Before a happy ending can be attained, Antoine and Antoinette come in contact with a wide variety of supporting characters, many of whom have a vested interest in that ticket. By filming his story against a backdrop of actual locations and realistically appointed studio sets, co-writer/director Jacques Beckerhas transformed this wafer-thin comedy romance into an encapsulation of the Parisian working class.